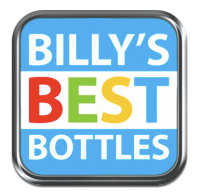 We are excited to announce that Billy’s Best Bottles 2012 App is now available for download! +All of the great features and content found in the 2011 App. PLEASE WRITE A NICE 🙂 REVIEW!! Well that does it. Now I HAVE to buy an iPhone. Dangit. Andrew’s got a brand new iphone!! I’ve had an iPhone for over a year now and have a policy to NOT pay for apps.